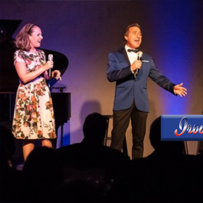 I would love for you to join me on July 3rd, 2016 at the Salishan Spa and Golf Resort in Oregon for an evening of Irving Berlin. Susannah Mars and I have phenomenal evening of music and story to share with you. Delightfully arranged and orchestrated by the ever-talented Charlie Creasy, this new show was previewed over the winter and is now ready for prime time. The Siletz Bay Music Festival’s Artist’s Showcase fundraising event is an annual favorite and is a cornerstone in raising funds for so many of the Siletz Bay music programs and educational offerings. Irving Berlin, born in ​1888, was one of the most prolific, enduring and famous songwriters of the Twentieth century. Some of his most memorable pieces include, “God Bless America,” “There’s No Business Like Show Business,” “White Christmas,” and “Blue Skies.” With more than 1000 songs to his credit, to say that Irving Berlin had long and prolific career, might be an understatement! And after nearly 90 years, these songs are all still on the lips and in the hearts of most. Did you know that Irving Berlin had a scandalous courtship in the early 1920’s? He did! Berlin, a 36­ year ­old immigrant Jew from Belarus, Russia and Ellin Mackay, the 21 ­year ­old daughter of a socially prominent Irish­-American, Catholic family, fell in love. To make matters even more exciting, Mackay was the granddaughter of a silver magnate who was one of the richest men in America. Wonder how the story ends? 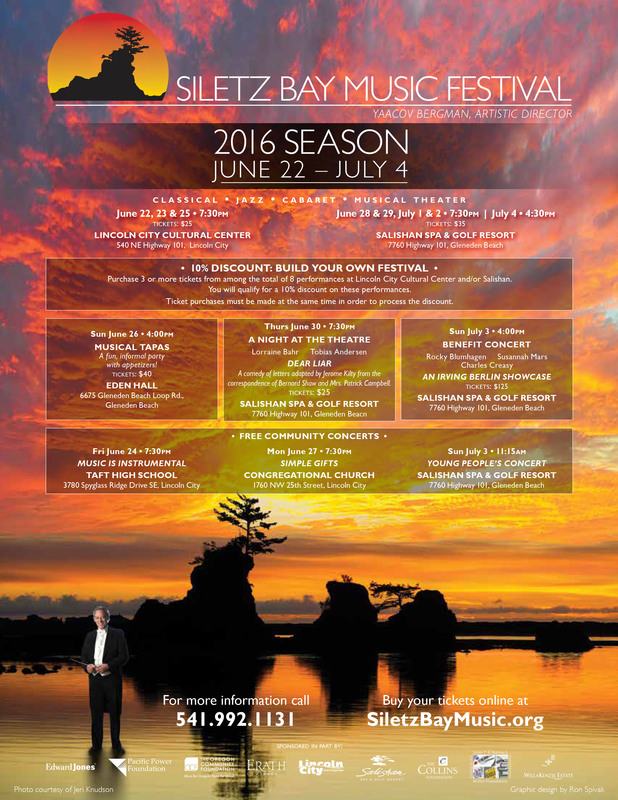 Come see our show to find out and support The Siletz Bay Music Festival in the process. Such fun!